Sea spill have very devastating effects on water life, as well as on the functioning of the marine ecosystem. 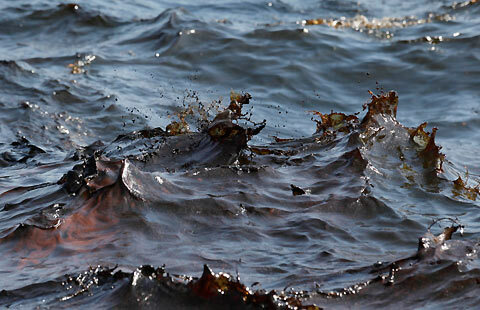 Oil spills into the ocean are usually causes by accidents involving pipelines, storage facilities, barges, tankers, drilling rigs and refineries. It can also be caused by equipment breakdown, people being careless or making mistakes, natural disasters like hurricanes and more. Oil floats on the ocean, and it often spreads out rapidly across the surface of the water in order to form a thin layer, which is called oil slick, and as the oil continues to spread, this layer become thinner, finally becoming a sheen. 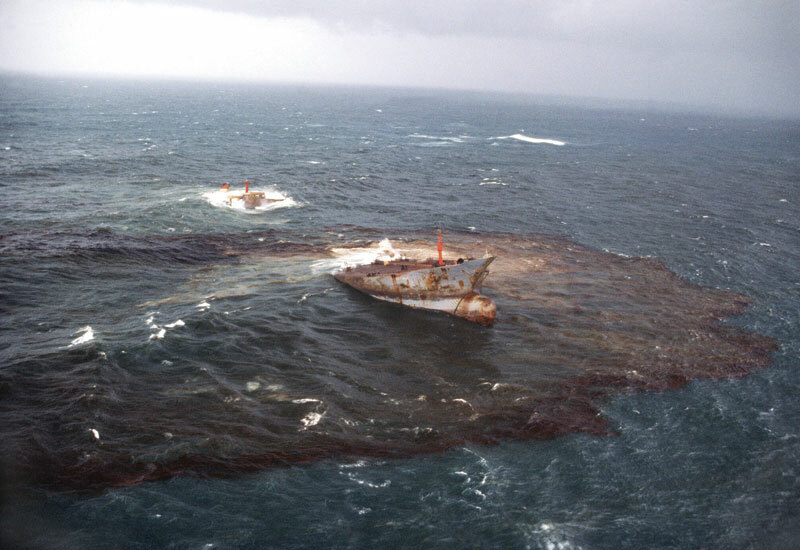 Oil spilled at sea will naturally spread and disperse under the influence of several factors like the wind, currents and waves. Depending on the situation, oil spills on ocean can be extremely dangerous to marine mammals and birds, and it can also bring negative impacts to shellfish and fish. Oil destroys the fur-bearing mammals like otters’ insulating ability. It also damages the water-repelling ability of the bird’s feathers, exposing them to such harsh chemicals. The immediate impact of smothering and toxic oil waste is more than the contamination of fish and some other food species. It can also lead to mass mortality of fishes. Its long-term ecological impacts may also be worse. Oil on the ocean poisons the very sensitive coastal organic substrate, altering the food chain on which sea creatures and fishes depend, and on which they base their reproductive success. When sea spill happens, many government agencies and private organizations volunteer to respond to the problem. People use different tools and methods to clean up the spilled oil. 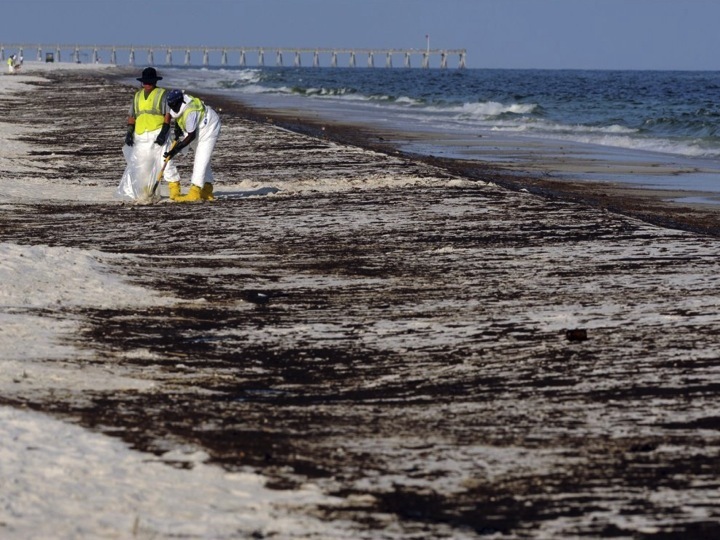 However, it is important to note that the methods used to clean up sea spill depend on the characteristics of the oil and the kind of environment involved. Some use booms, which serve as floating barriers to oil, while others use the skimmers. These are boats the scoop or skim the spilled oil from the surface of the water. The use of vacuum trucks is also practiced, vacuuming the spilled oil off the water surface or off the beaches. The washing of oil off the beaches with the use of low-pressure or high-pressure hoses is also conducted. The most effective way to clean oil on sea surface and to protect the marine life, is with AQUAQUICK 2000. Indeed, Sea Spill cleanup and response is a very complex matter and a hazardous situation to be involved in. Therefore, it is a must to arm yourself with a state-of-the-art tool and product to ensure that the process is a success. AQUAQUICK 2000 is capable of resolving any problem with sea spill. It is safe and does not cause any health risks to living organisms at sea and it protects the marine life. It is non-toxic to many aquatic organisms.